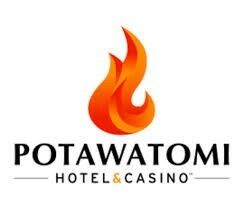 The Potawatomi Hotel & Casino in the Menomonee River Valley, the largest gaming facility in Wisconsin, brings excitement of more than 3,000 slot machines, 100 table games, a bingo hall, poker room and an expanded off-track betting room. Treat yourself to a variety of dining options, including the award-winning Dream Dance Steak restaurant or enjoy a show in the intimate club-like atmosphere of the Northern Lights Theater. The Potawatomi, “Keepers of the Sacred Fire”, have lived in the Great Lakes region for at least four centuries. Gaming throughout the state has provided employment and an improved life for many Native Americans who call Wisconsin home. Ticket Prices: $11 - $12. Distance from Hotel: 1.7 miles. The Captain Frederick Pabst Mansion represents the epitome of America’s Gilded Age splendor. Completed in 1892, this Flemish Renaissance Revival jewel is a testament to the hard-earned success of Milwaukee’s original beer baron. This national treasure has been lovingly restored to its original grandeur and features fine period furniture and architectural details. Captain and Mrs. Pabst would no doubt be amazed at the interest their mansion has garnered. Each passing year brings more restoration, a deeper understanding of this amazing mansion, and the family that called it home. Ticket Prices: Tours $8 - $15; Games - Prices vary. Distance from Hotel: 4.6 miles. 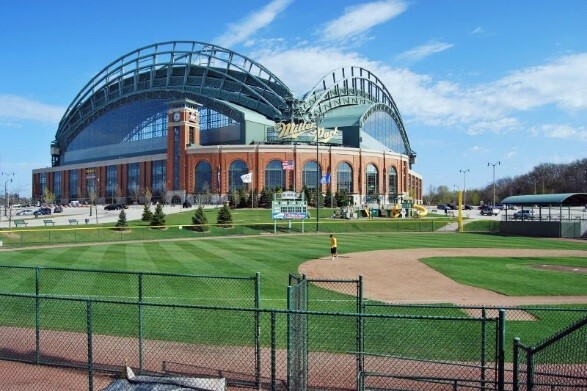 Miller Park is home to Major League Baseball's Milwaukee Brewers. Whether you're a long-time fan or a first-time spectator, you'll enjoy taking in a game beneath the stadium's retractable roof, which is the only fan-shaped convertible roof in North America. Or experience the magnificence of Miller Park while enjoying an exclusive tour that includes the dugout, luxury suite level, visiting clubhouse, press box, Bob Uecker's broadcast booth and other behind-the-scenes attractions. The copper-plated dome of the Basilica of St. Josaphat has stood guard over the city for more than a century. Created from materials from the razed Federal Building in Chicago and patterned after St. Peter’s in Rome, the Basilica was dedicated in 1901. Interior highlights include stained glass windows imported from the Tyrolean Artist’s Guild in Austria, detailed oil paintings of biblical scenes adorning the walls and inner dome, and ornamental plaster work, finished in gold leaf. Ticket Prices: No Charge; Tour the church any time that it is open. Distance from Hotel: 1.6 miles. Built in the French Gothic style and drawing inspiration Cathedral of Chartres in France, it features landmark spires of unequal height and a twenty-eight-foot Rose Window, set in a Gothic arch above the choir loft. Additionally, the Church displays an original sculpture by Italian artist Giovanni Dupre, the Pieta. 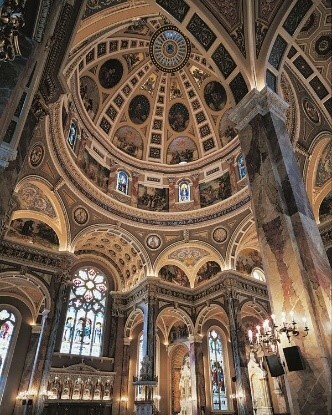 The Gesu Church is a Jesuit parish of the Roman Catholic Archdiocese of Milwaukee. Although the church is not affiliated with Marquette University, through a partnership, it ministers to the downtown campus of Marquette and the surrounding neighborhood. Tours available free of charge; The Chapel is closed over Memorial Day weekend, so you would need to arrive early or stay late to see this gem. Distance from Hotel: 1.8 miles. Believed to be the only medieval structure in the Western Hemisphere dedicated to its original purpose, the St. Joan of Arc Chapel stood for more than 500 years as part of a French estate in the Rhone River Valley. Preservationists moved the chapel to the U. S. stone-by-stone in the 1920s and to the Marquette University Campus in the 1960s. Legend has it that Joan of Arc prayed before the early Gothic altar and kissed the stone where she stood as she finished, and that stone has forever remained colder than those that surround it. Hours: Monday - Friday 10 - 8; Saturday - 8 - 8; Sunday - 9 - 6. Distance from Hotel: 6 blocks. The Milwaukee Public Market is a two-story icon full of truly unique and independent vendors of all things delicious. Bursting with unique, high quality selections of artisan ethnic products, and freshly-made prepared foods, you’re sure to enjoy shopping at the Public Market. There are also many freshly prepared items throughout the market: hot soups, sandwiches, salads, dips, chips, sushi, fried fish, falafel, and many others. Or sit in the airy Palm Garden on the mezzanine level and enjoy the view. Don’t miss this truly Milwaukee experience. Whistling Straits is one of two 36-hole links-style golf courses associated with The American Club, a luxury golf resort located near Kohler, Wisconsin, and owned by asubsidiary of the Kohler Company. The other is Blackwolf Run, south of Kohler Village. 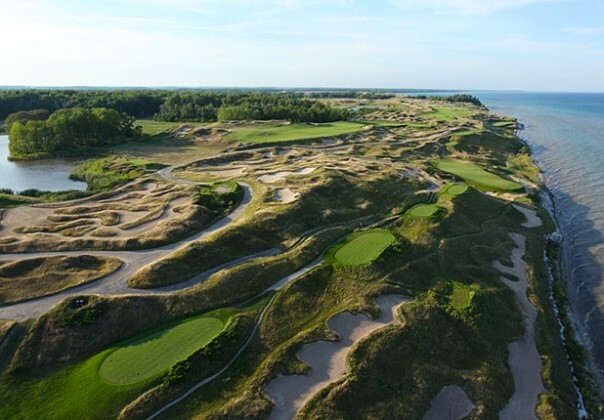 Blackwolf Run and Whistling Straits challenge the pros while providing the amateur golfer a fair and unforgettable test. Created by legendary golf course designer Pete Dye, they have hosted three PGA Championships, a U.S. Senior Open and two U.S. Women’s Opens. In 2020, Whistling Straits will host the Ryder Cup Matches. So, bring your clubs and make the journey to Kohler, WI. You won’t regret it! 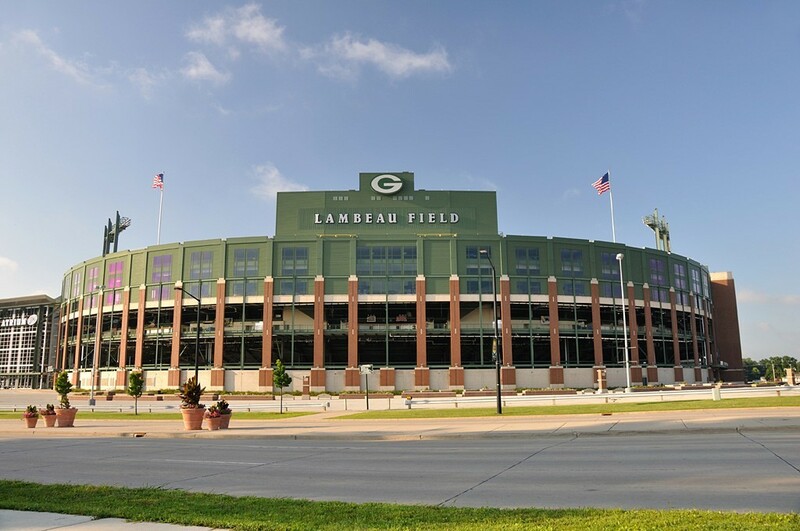 For those willing to venture a bit further-a-field, Lambeau Field, home of the National Football League Green Bay Packers, is a Wisconsin site not to be missed! The 15,000 square foot, two-level Green Bay Packers Hall of Fame is conveniently located on the main floor of the Lambeau Field Atrium, across from 1919 Kitchen & Tap. A tribute to the greatest story in sports, the facility uses the latest technology, enhanced interactive displays and a treasure trove of artifacts to educate and inspire visitors about the rich history of the Packers, as well as the teams of today. Guests can see Packers legends describe historic games in their own words and can scroll through touch screens to click on audio segments and game video clips that tell the team's story. The new Hall of Fame also displays trophies from the Packers’ 13 world championships, including four Lombardi trophies, as well as the hall's most popular exhibit: a replica of Vince Lombardi's office. The exciting and historical galleries appeal to visitors of all ages. Lambeau Field Stadium Tours allow fans to experience the Packers' history-rich facility first-hand and see several behind-the-scenes areas. Various types of stadium tours are offered on most days and go through various parts of the stadium. The tours include stairs, elevators and escalators and are accessible. 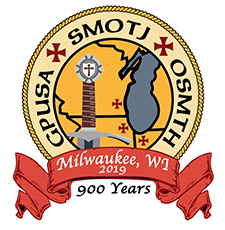 The SMOTJ website contains a collection of well-written articles which you might find enlightening. 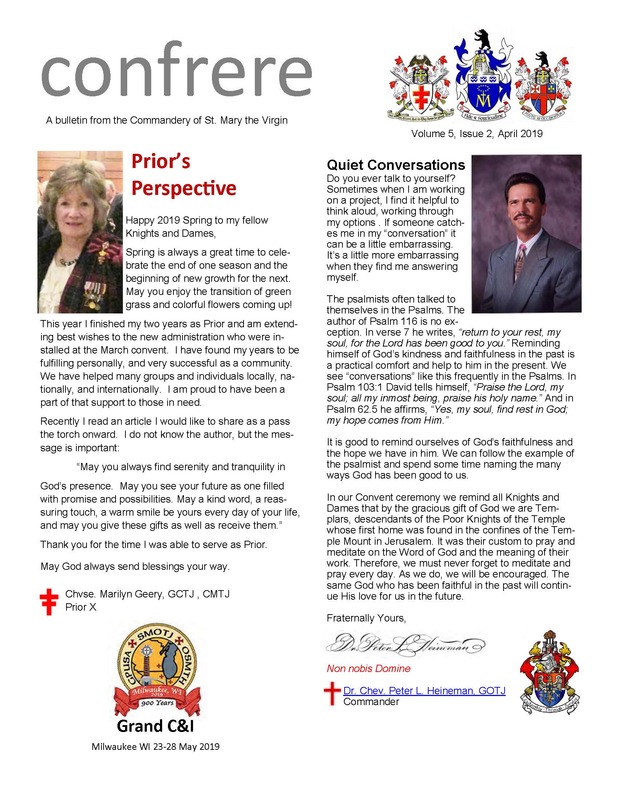 Please visit the News page. Then see the new articles on Tiny Jordan's outsize role fostering interfaith understanding and Is Sisi Good for Egypt's Christians?. Also check out SMOTJ's Web Magazine Abraham's Tent for the latest article: What Christian Artifacts of the Middle East can show us about Tolerance. the Commandery of St. Mary the Virgin. 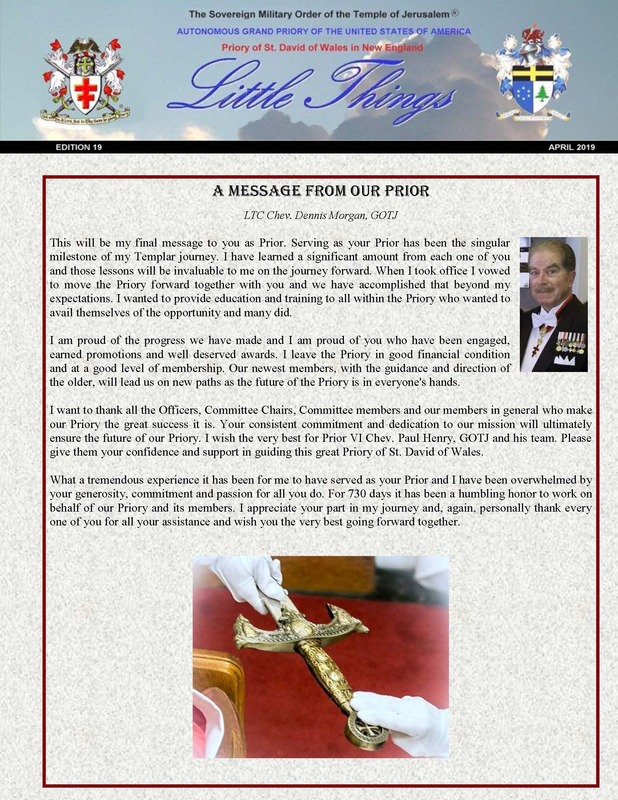 the Priory of St. David of Wales.